Heritage Acres held their 2013 Annual Cookout on Saturday, June 22. More than 250 people attended, according to General Manager Bill Kells. 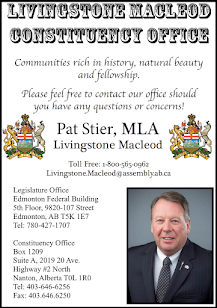 The event was blessed with good weather, despite the flooding going on in other parts of southern Alberta. Planned horse demonstrations didn't happen , but those in attendance seemed to be enjoying the various exhibits that were open. Every year the facility shows a marked improvement in quality of displays and customer experience, and this year is no exception. Alan Reed was again in charge of roasting the prime roast beef, and the Schoening family provided musical entertainment after dinner. 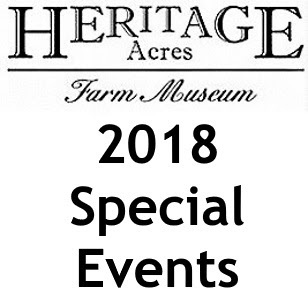 The next big event on the Heritage Acres calendar is Heritage Days, scheduled for August 2-4. Visit heritageacres.org for more information.